Our employees are encouraged to give generously to charitable organizations and educational institutions of their choice with Denbury supporting their efforts through our matching gifts program. 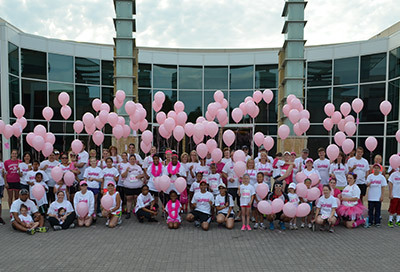 Denbury and its employees have recently participated in various fundraising programs such as Susan G. Komen Race for the Cure, Children’s Medical Center Holiday Parade, Habitat for Humanity, Legal Aid of Northwest Texas, Boys and Girls Club, Warrior Family Support Center, Homes for our Troops, Junior Achievement and many more! Investing in our communities is not purely about monetary donations. In addition to financial contributions, Denbury is committed to encouraging and supporting our employees’ involvement in community service and philanthropic events and projects. 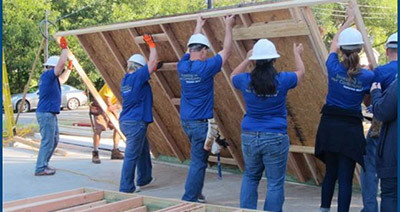 To support our employees in their commitment to volunteer, we provide a paid day off from work to participate in service projects of their choosing. 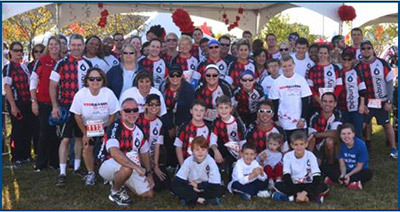 Additionally, Denbury coordinates group participation in fundraising and service projects that our employees are passionate about. Denbury organizes and enables employees to annually give blood on-site. Every day, close to 800 patients in North Central and East Texas need timely blood transfusions to survive. The majority of this blood comes from blood drives organized by groups like ours. Giving blood is also a great way for donors to gain access to vital information about their own health. A free mini-physical is given at the time of donation, which includes a screening of blood pressure, temperature, iron levels and cholesterol level.